UFC on FX 1: Guillard vs Miller Fight Pick and Preview | MMA Fighting Events Videos Techniques UFC Fight Picks and News. On Friday January 20, the UFC (Ultimate Fighting Championship) brings the Major Leagues of MMA (Mixed Martial Arts) to the FX network. Headlining the main event at UFC on FX 1 will be a fight featuring Melvin Guillard vs. Jim Miller. Both of these fighters need a win to get back into UFC lightweight championship contention. Melvin Guillard is coming off a loss that ended a five fight winning streak. In that loss at UFC 136, Joe Lauzon finished of Guillard with a rear naked choke in the first round. Guillard has shown explosive power and KO ability, but he has been susceptible to submissions. Guillard is 29-9 and eight of those losses have come by way of submission. Jim Miller also had a winning streak ended in his last fight. 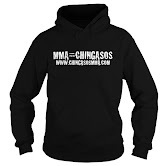 He had racked up seven wins in a row before losing a decision to Ben Henderson at UFC Live 5. Miller comes into this fight with Guillard sporting a solid record of 20-3. His only losses have come by way of decision. Melvin Guillard vs. Jim Miller is going to come down to which fighter can implement their strategy the best. Guillard has KO power, but will need to stay on his feet and out of submissions to be able to utilize it. Miller is going to have to get the fight to the ground and utilize his solid submission game. I'm picking Guillard in this fight. He's surely worked on his submission defense and with his strong wrestling, natural athletic ability, and power strikes, he should be able to stay out of trouble and pull off a win. 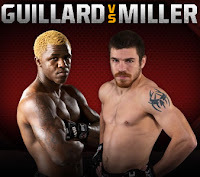 Check out the UFC on FX 1 Guillard vs. Miller fight preview video.